Olkesandr ‘S1mple’ Kostyliev’s incredible show of skill at ESL One Cologne during the summer has now been immortalised by Valve’s map designers, and also the body-branding powers of tattoo ink. You don’t make shots like these without a pretty good gaming mouse, that’s for sure. 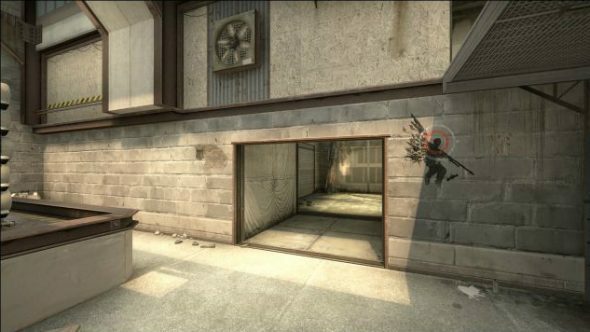 The play, a double no-scope while falling from the platform on de_Cache known as ‘heaven’, earned S1mple his wings as map creator FMPONE added a graffiti tag to the wall to commemorate it. The tag, similar to one earned by Marcelo “Coldzera” David for his own show of skill during the MLG Major, has now made the leap into real life as S1mple has had it drawn onto his own arm to keep the moment alive as long as his corporeal form exists on this earth. S1mple’s double no-scope, in case you’ve not seen it, is below so let’s all reminisce about his brief time on Team Liquid and look forward to a bright yellow future now that he’s joined Na`Vi.